The George Smith Memorial Hall is located along Newcombe Street, in the eastern suburb of Paddington. 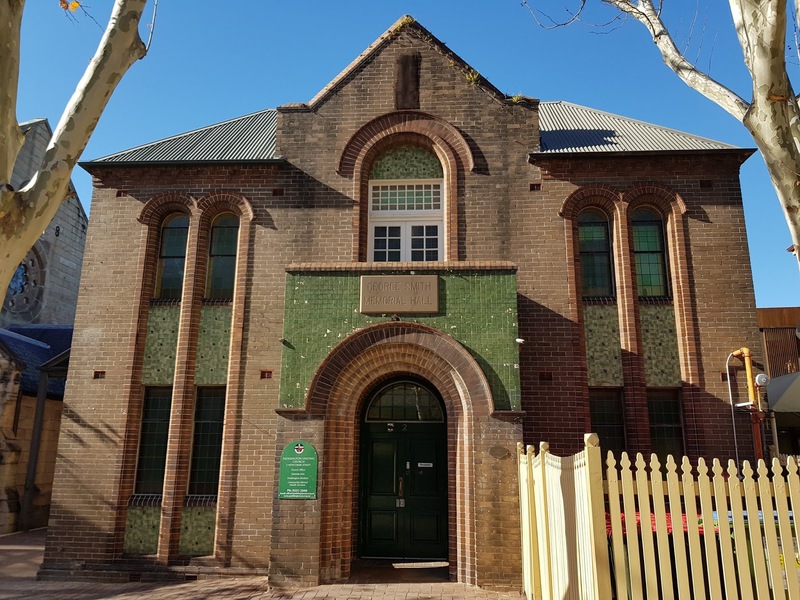 This heritage listed building was built around 1910 in the Federation Romanesque architectural style for the former Paddington Methodist Church, now Paddington Uniting Church. It now houses offices for the Uniting Church, Eastside Arts, Paddington Markets and Community Mental Health Services. Linked to: Our World Tuesday, Tuesday Treasures, Pictorial Tuesday, Travel Tuesday, Blue Monday, Thursday Doors. Impressive, and good use for the building. Still serving the community after all this time. Looks like some of the bigger houses they have been building in the more elite neighborhoods in town near me. How fun to live near a town called Paddington. Love that name. This is one handsome facade. Nice to see a building repurposed so well. Interesting arches over the windows! I am glad Jim that this church has been preserved. Have a lovely weekend. A classic building, Jim. Good to see it restored and used. Thank you for taking part in the "Travel Tuesday" meme. ...Uniting Church, that has a wonderful ring to it!